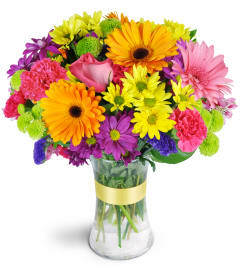 FTD's Set Celebrate Birthday Bouquet. 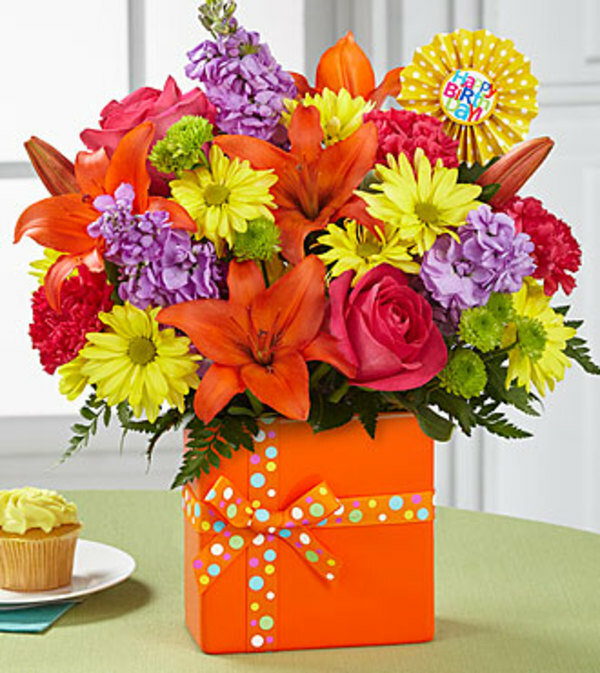 Popping with personality and style, this flower bouquet brings together orange Lilies, hot pink Roses, lavender Stock flower, hot pink Carnations, yellow traditional daisies, green button poms, and lush greens. Presented in a modern rectangular orange ceramic vase tied with a polka dotted orange ribbon to give it the look of a birthday present, accented with a "Happy Birthday" pick to give it that ultimate party style. 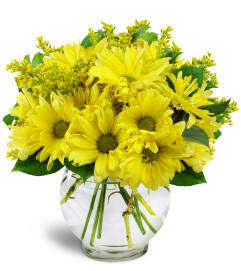 DELUXE bouquet is shown.